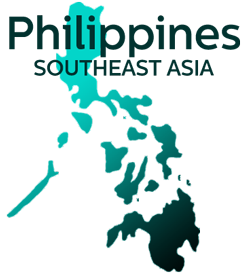 December 2015 – This coming May a team will be partnering with local Filipinos to work in the northern part of Cebu and on Gibitngil Island. This area has been frequently hit by tropical storms. Those who go will have the incredible opportunity to help survivors of Typhoon Haiyan. While in Cebu and Gibitngil, we anticipate helping in several ways, including construction of homes, providing children’s ministry and learning from the people in these areas. Gibitngil Island has about 500 families with an average of 4 children per family. Cult type practices have dominated the culture and only recently did the last great Tyhpoon open the door for service-based missions. We will bring children’s programs with the purpose assisting in the well-being of these children. The scouting team to the Philippines left Pullman at 7:30am on Thursday, March 13th, 2014 and returned a week later. It consisted of CJ Carrier, Abbi Delgado, Ellis Troll, and Jesse Weaver. With no expectations, only a heart to observe and to learn, the team came together as a scouting team, open to receive all that God would reveal to us on our trip. The Lord is truly amazing and provided many connections in the Philippines that we never thought possible. Our first connection was through Nilo Endoso, head of the organization Global Hope that specializes in community development in the Philippines. After Typhoon Haiyan, Global Hope was dispatched to various regions devastated by the typhoon. Nilo suggested we travel to an area in the middle of rebuilding called Medellin, Cebu. We had one night in Manila before our morning connecting flight to Medellin. We spent the night with Gani Sison, a family friend of the Delgados, who is the Executive Director of International Teams Philippines. He’s worked with missions for years and gave the team valuable insight on Philippine missions. We were not alone on our travels to Medellin. At the airport, we were joined by Pastor Rollyvic Tira, a close colleague of Nilo, and member of the church Greenhills Christian Fellowship. He himself was on scouting mission to Medellin. He and the team bonded so well that we were calling him Bro Vic by the end of the trip. The church that hosted the team in Medellin was called Balay Kahayag, which in Tagalog means lighthouse. Led by Pastor Ver, he and his entire family lived in the house right next to the church building as their previous home and church building was damaged by the typhoon. Here we connected with people from other churches. It was an amazing time of sharing testimony, building relationship and learning. God’s hand was over the entire trip from beginning to end. He purposefully placed us in connection with amazing people and opened the door wide for a return team. Our hearts are burdened by the amount of homes that need rebuilding, children to love, families to help, and lives to be changed by His power. We are excited for the opportunity to return!